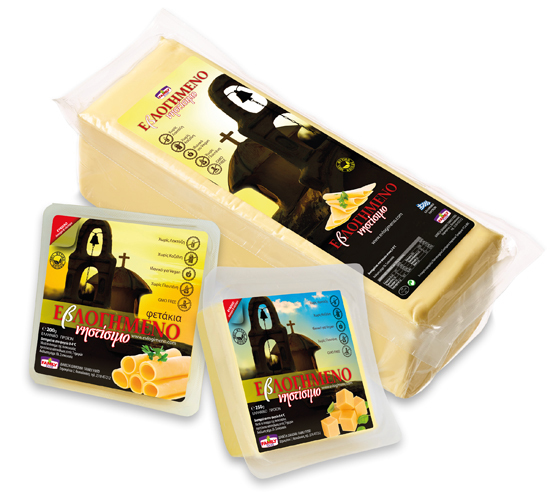 There are many types of cheese…and then there is EvLOGIMENO. Do you fasten? Need to follow a lactose-gluten-dairy protein-free diet? Are you on a special diet because of high cholesterol blood levels? Are you vegan? Whatever the reason why cheese has been shut out of your daily eating habits, the answer is one and only! EvLOGIMENO! A gluten-lactose-casein- free viand exclusively made of 100% vegetal raw materials (VAT), without soya or any ingredient of animal origin and with non-hydrogenated vegetal fat. It is the top eating choice of all those who fasten but also those with a certain sensitivity or intolerance to gluten and lactose. very low in cholesterol levels -a mere 0.3mg/100gr –and saturated fat. It is the top choice in the preferences of vegetarians and vegans. With a taste like no other which make it stand apart. 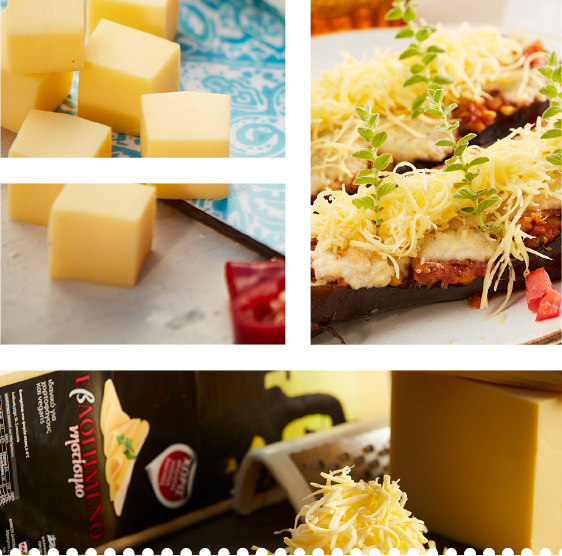 It is delicious and nutritional, with qualities that resemble those of yellow cheese, so as to fully satisfy your taste expectations! The perfect ingredient to use in slices when making a sandwich or in cubes when preparing a salad! It melts wonderfully in toast making and it’s the perfect choice for pasta, soufflé and vegetarian pies. Now toast-making is not a forbidden pleasure. With EvLOGIMENO it is a “blessed” snack! 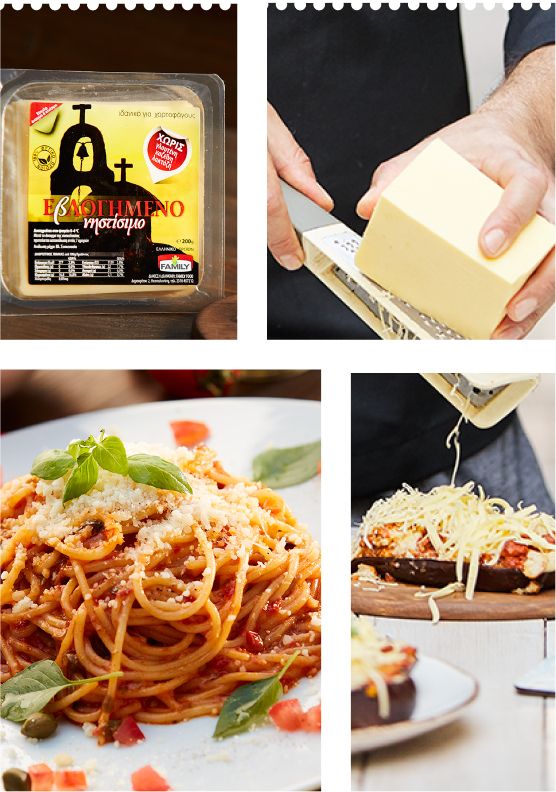 Check out the recipe menu on our site for a list of wonderful ideas to prepare unique dishes with “EvLOGIMENO”. You will find it at supermarkets in bulk or sliced in its 200gr packet.